We are introducing a starting level model in automatic version with capacity of 1100 –1200 Bricks/Hour. 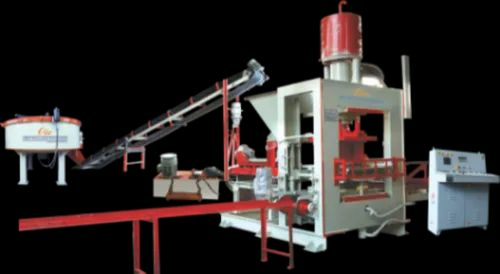 This model is low cost economic model with Equipment- set of Pan Mixer, Belt conveyor, Automatic Brick making unit with Hydraulic Power Pack & PLC base Control Panel. Manufacturing of plant is to be built under strictly Quality Control & using Latest machinery and technology for manufacturing process so client will get low maintenance and high production capacity plant for long duration.